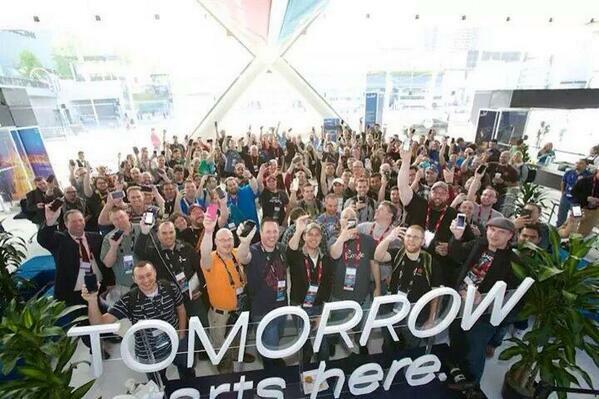 Cisco Live 2014 | CCIE or Null! Why Cisco Live is awesome! I can sum up how awesome the event was in 2 words ‘The Social Hub’ & the ‘The Tweet Up’ (ok, well maybe that was more than 2 words)!! From the second I walked back into the Social Hub I was greeted by some familiar faces who remembered me from last year! Which I think was the best part, flying out all the way to west coast (from east coast) it was great knowing more than a few people in a new place. Not to mention from what I remember about the Tweet-up and Social Hub last year, it has grown quite a bit! I also got to take part in Tech Field Day, which was awesome. Although it was my first Tech Field Day and I relatively quiet since I wanted to see how they play out. Hopefully I get invited to another at the next Cisco Live. I’ll definitely participate more. It’s also a great spot to talk shop with many of networking professionals from around the world that I probably would not have met otherwise! I also had to chance to speak with Ethan Banks from Packet Pushers, Ron Fuller from Cisco, Keith Barker & Scott Morris from CBT Nuggets, Brian McGahan and Mark Snow from INE! I’ll admit I was a little star struck since these are some of the people I’ve followed and learned from over the years. Even with four days of Cisco Live there were still a few bloggers and twitter’ers I did not get to meet but definitely next year! Testing Center – Half off exams, what more can I say! This year I was able to knock out the 642-996 & the 640-911, wanted to finish off the CCNA: DC but didn’t have enough time. I guess two exams in four days is still pretty good. Cisco Store – Easy way to pick up some cool Cisco merchandise or Cisco Press books. I just wish they had a better discount on the CiscoPress books during Cisco Live. The TAC ‘Walk-In Clinic’ – Somewhere you go to bounce ideas off Cisco TAC in person. I probably spent at least an hour (or two) here during both Cisco Live’s just to discuss certain situations I have seen in production and what their thoughts were. The sessions – These are a given, the technical sessions are truly amazing going into great technical detail and provide you the ability to ask questions throughout the session! There are many more reasons I did even mention.